Welcome to the MADE IN ITALY: the most ‘loved’ BRAND in the world for the pleasure of life, of the well-being, of the elegance. 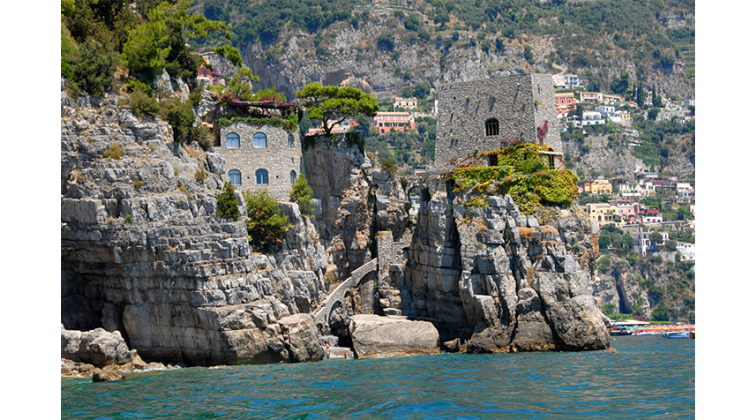 Amalfi Coast, in Italian simply “la costiera” place of charm, culture and nature. 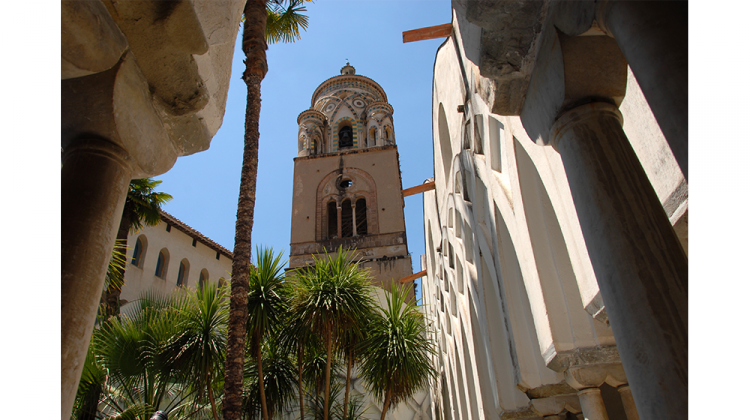 The lush mediterranean vegetation is the backdrop to centuries of history. 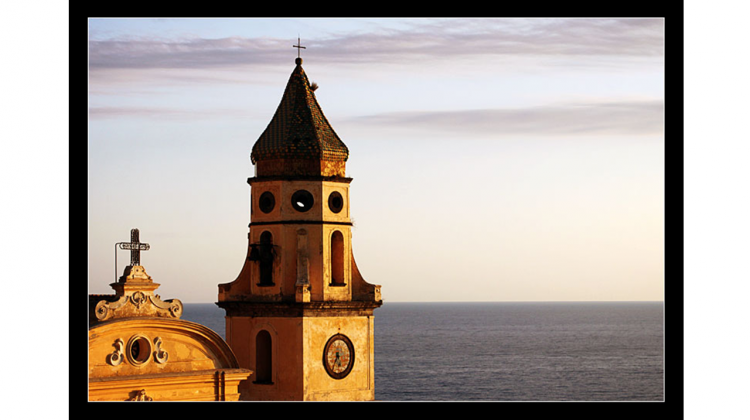 Thanks to its great cultural and scenic value, Amalfi coast is one of the 50 Italian sites included in the UNESCO World Heritage List. 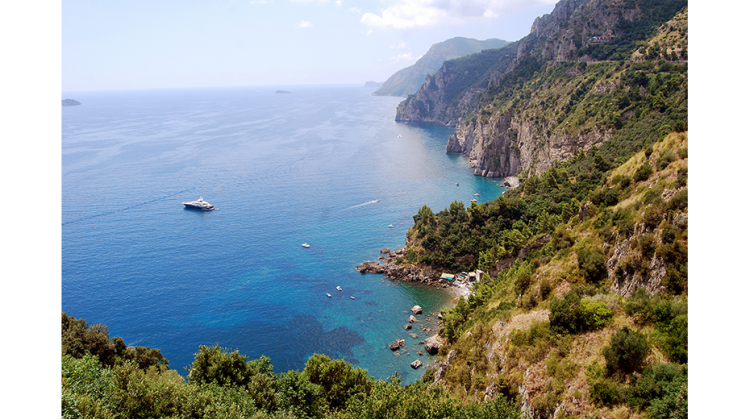 Praised by Giovanni Boccaccio in his Decameron, the Amalfi Coast is the stretch of coast located south of the Sorrento Peninsula, overlooking the Gulf of Salerno. 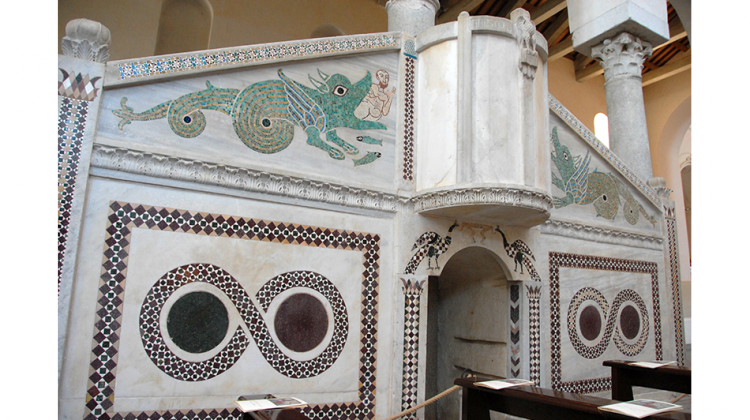 Its lush vegetation is the backdrop of centuries of history: a unique environment, protected by UNESCO as a perfect example of Mediterranean landscape with a scenario of great cultural and natural value due to its topography and its historical evolution. 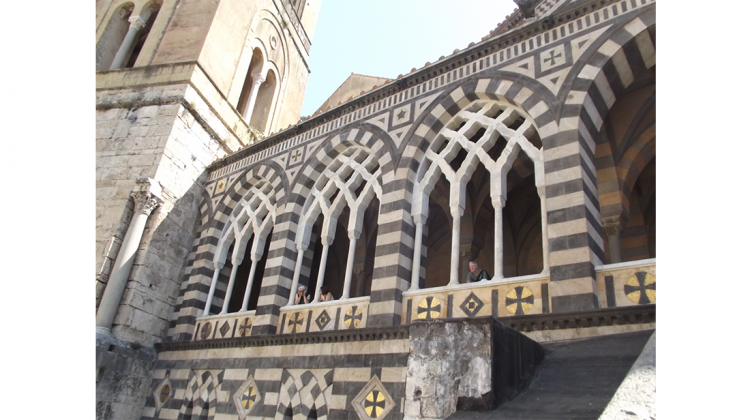 The sixteen municipalities that constitute it, among which Amalfi, Ravello and Positano, are characterized by architectural monuments of rare beauty. The rural areas show the versatility of the inhabitants in adapting their agriculture to the different nature of the terrain, which ranges from terraced vineyards and orchards on the lower slopes up to the vast mountain pastures. The Costiera, beside being known for its outstanding natural beauty it is also famous for the strong culinary and gastronomic tradition. 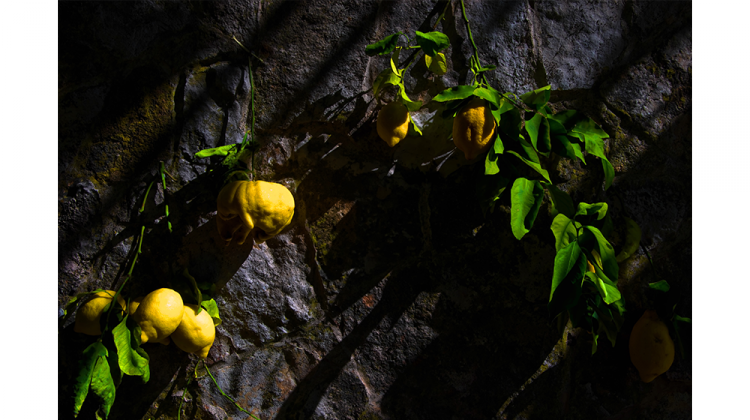 Its lemons, known all over the world, have a rich and sweet flavor and are eaten sliced as dessert or used to produce a very aromatic liqueur called “limoncello“. 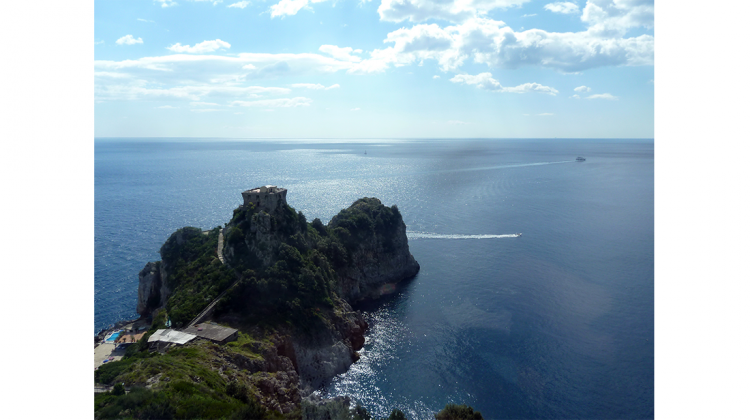 Among the most famous places there is Amalfi, from which the whole coast takes its name; it is, geographically, the central stretch of the Costiera, and, historically, the most important. This city dates back to the Roman Empire and reched its peak in the eleventh century when it became one of the four maritime republics. 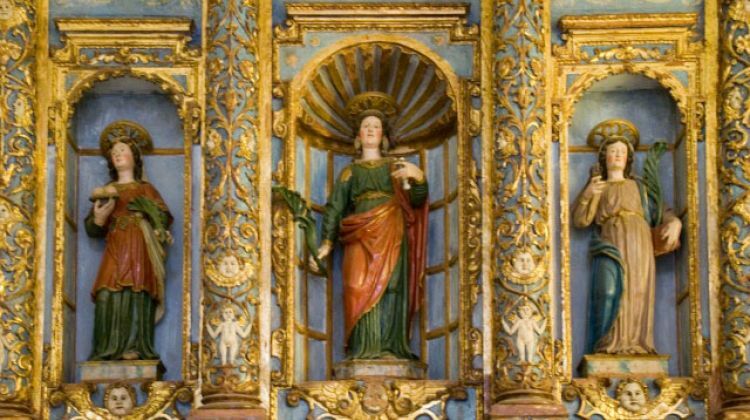 Architecturally the cathedral is the ultimate expression of its cultural heritage: erected in the nineth century, it was rebuilt in the thirteenth in Norman-Arab style and again retouched in the XVIII. 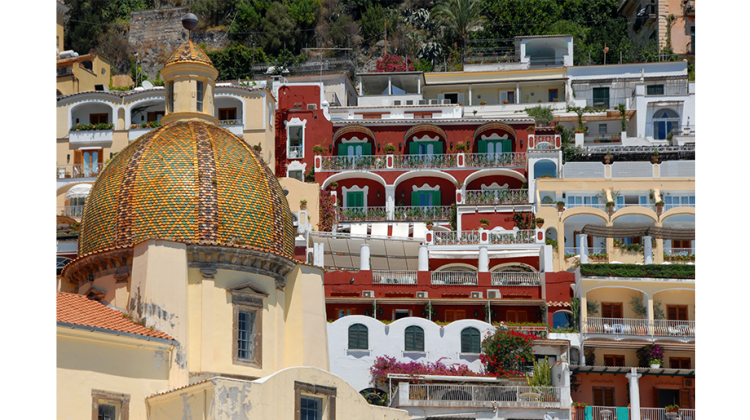 Positano, a holiday resort since Roman times, spread vertically, following the very steep terrain, with paths that line the beautiful white houses sloping down to the sea. The streets are full of shops with local products and and artisans’ workshops. This stretch of coast is a continuous succession of promontories and inlets, bays and fjords, interspersed with pebble beaches. From the sea you pass directly to the mountain, rich in flora and fauna typical of the Mediterranean. Here, it is often difficult to distinguish the line of the horizon, the blue of the sky merging into the cobalt blue sea. Sorrento itself, situated in the north-west, has ancient origins: the urban plan of the city is, in fact, due to the presence of the Greeks. 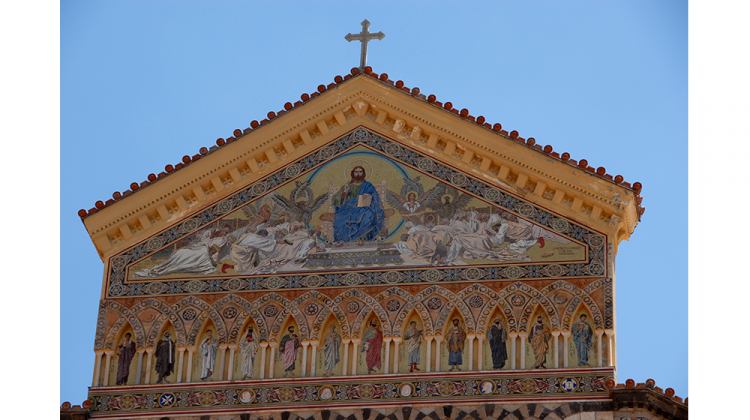 After them, Oschi, Romans, Longobards and the Aragonese have ruled the place, and helped make Sorrento the city of great charm that one can see today. 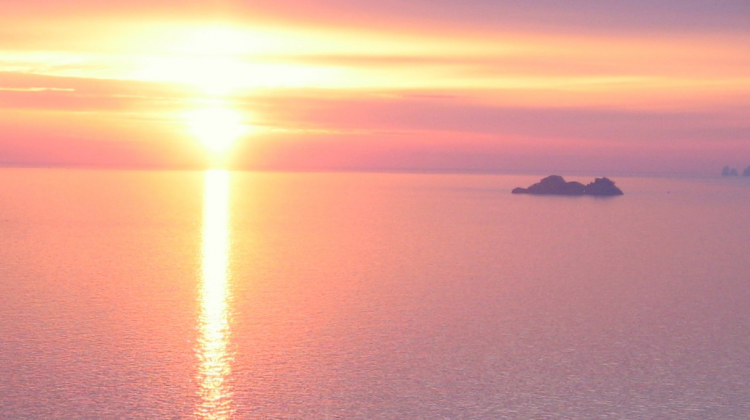 The Amalfi Coast is a real “terrace” on the sea that winds in wonderful walks through gardens and orchards from which one can see stunning sunsets that only this wonderful place can give.